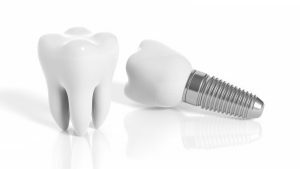 The cost of dental implants varies from case to case, and there is no standard pricing for such work. Oral surgeons who offer dental implants can provide an estimate for you, though, if you schedule an evaluation. This consultation does not only inform the oral surgery team as to what your situation calls for, it can also inform you of some of the different options available. Here at Wilmington Oral Surgery, we have all of our equipment and our medical professionals in one place. The advantage to that is that you will be working with the same team – the same friendly individuals – throughout the multi-step process of getting dental implants. The same people working with you for your consultation will be there for your subsequent visits and follow-up care. By having everything housed at the same location, we are able to provide better value, a less expensive set of procedures, and the consistent, thorough recovery care that are often more difficult when visits are spread across different facilities in different buildings. Everything is here under one roof, at one easily-accessible office, with a consistent team of longtime colleagues. Another advantage of having all of us at one Wilmington location is that you will not receive bills from a variety of providers. One bill covers the entire set of procedures, without hidden costs or surprise bills coming from a variety of locations. Since dental insurance and medical insurance often do not cover dental implants, we can also assist you in figuring out financing. There are a number of third-party financing options we can look into. Many of our patients qualify for these financing options, and our staff is well acquainted with the services these third-party companies provide. To schedule a consultation, please use our contact form, or give us a call at 937-382-8020.